I can't believe that we are already on week five of this special crochet-along which was so long in the making. Wink's family are following the CAL and I know they appreciate how much love and support is being shown for her memory - I really hope you are enjoying it too. I am running a little 'behind' with my squares but determined not to hurry them as I'm enjoying the process (last week's is fun to make although I've only made one so far) and learning a lot at the same time. This week's pattern instalment is another fun one. 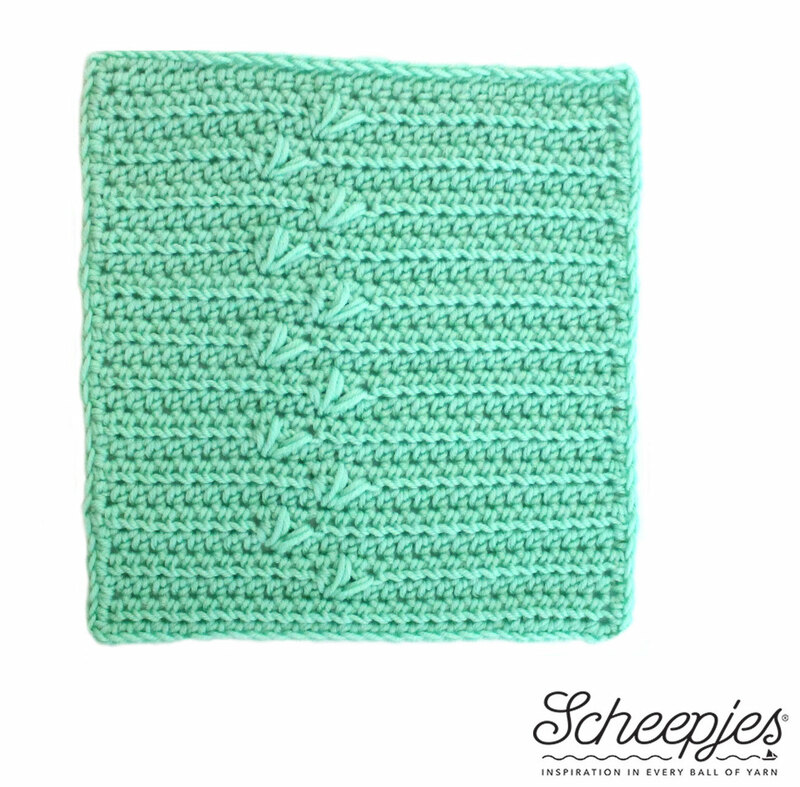 Using 'seagull stitch', it looks just like little bird footprints in the sand. Perfect for the 'last dance on the beach' theme and also a more relaxing square than the last couple of weeks, so you can probably do this one without a lot of counting, or frogging! 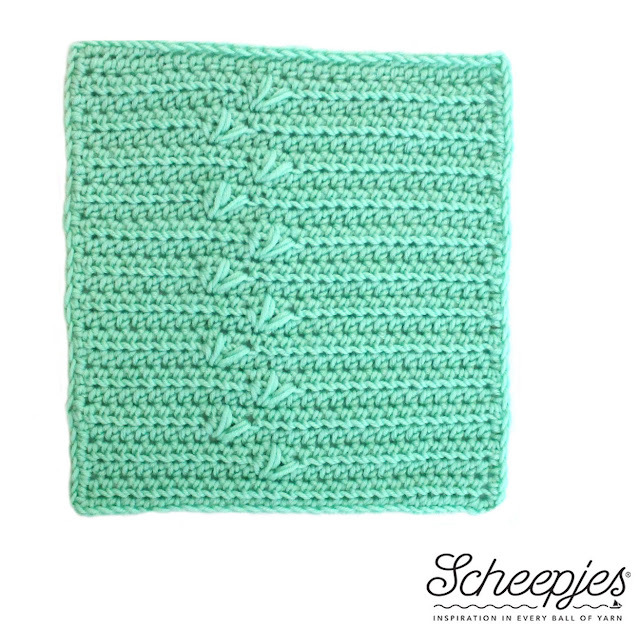 This lovely square was designed by my friend Nerissa (aka Miss Neriss). An Australian living in the Netherlands (with her Dutch husband), she returned to crochet while pregnant a few years ago and these days is rarely seen without a hook in her hand. Nerissa makes lots of lovely 'creations', including clothing and accessories for her family, several of which are published as free patterns on her blog. Nerissa has written a very heartfelt post today about her own challenges over the last year and how Wink's death affected her. Like so many of us, being able to contribute to the CAL has been healing for her after the loss of her friend. Nerissa also talks about the inspiration behind her design and provides some tips for the seagull stitch - you can read it here. - Download the English and Dutch PDF patterns here. 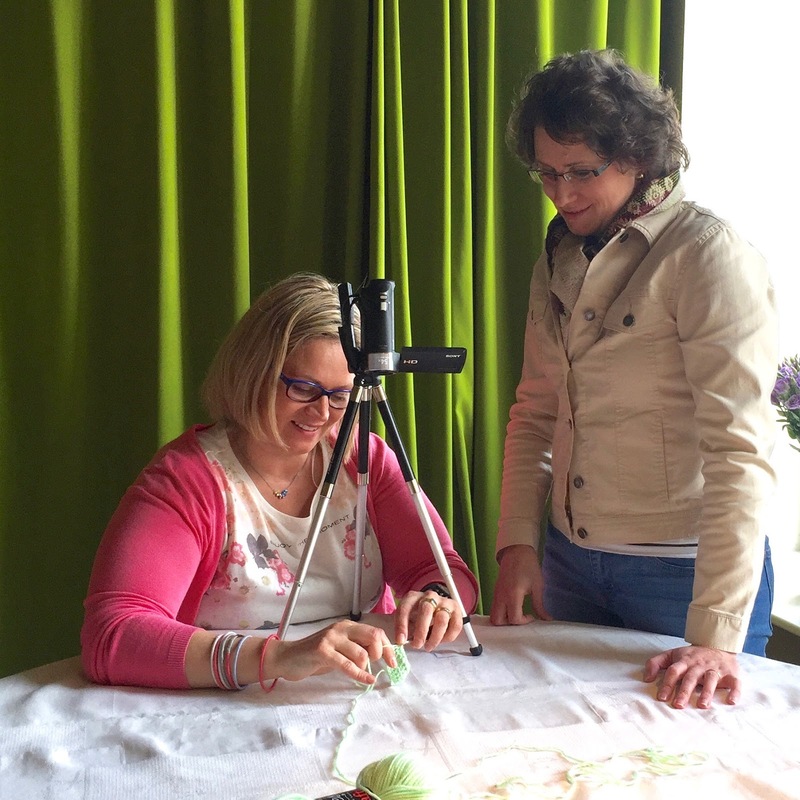 - Find Esther's videos in both languages and for right- and left-handed crocheters here. - The official CAL Facebook groups are the best places to post questions, tips and finished pictures - you can find the groups here: languages are English and Dutch. - Remember to tag your photos on social media with #lastdanceonthebeach and #scheepjescal2016. Hi Judy - sure. My bodge was as follows: I basically made the normal edge on the sides, but for the top and bottom I did UK trebles instead. To make the corner stitches work around this, I did a dc, htr and tr, on the top right corner, and on the top left corner tr, htr, dc ... and the same (the other way around) on the bottom corners. Hope that makes sense!